Bedwatchers (nickname) were called Aldikimo and dwelled primarily in the rain forest and dense forest areas. In life they were little tiny creatures of black fur and gold eyes that burrowed into the Earth and you would only see their little golden eyes peering out from the darkness. They would rabidly growl, hiss, spit and basically be spastic around anyone who came near their hole. They are very good at chasing away the loiterers of darker or Black Arts nature. As spirit companions they work very well with children because they feel attached to little ones. The kids have to welcome them in the home because they attach only to one person at a time. They are very good with kids because they feel protective of little ones like themselves. Bedwatchers are perfect for frightening away anything that comes near a child and attempts to frighten or scare them. Bedwatchers are very protective of their little Keepers and will do anything to terrify Black Arts and darker entities & spirits from being around kids. If you have more than one child in the home we recommend a specific Bedwatcher for each child because they do attach to one person. As the parent you will receive the name of the Aldikimo but your child needs to give them a nickname that is special between them. 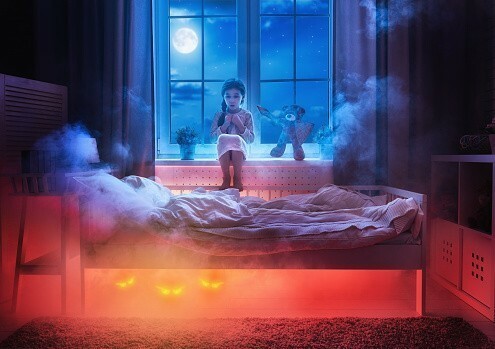 They do manifest with glowing eyes so its not uncommon for you or your child to see their shining gold eyes peering out from under the bed, under the sofa, or out of a closet. They like dark areas and do not stay out in the open longer than they have to even in spirit form. They are classified as Dark Arts but they are on the lighter side like Gargoyles. They are NEVER dark around their Keepers, they are only terrifying to intruders. Portable Charging Stones Master Service - Customized Power & Energy Spirit Reading :: Which Spirits Would Be The Best Companions?